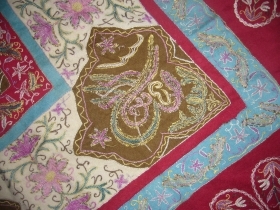 active since January, 1, 1970. 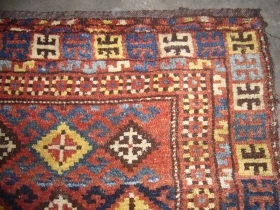 Jaf Kurd,very colourfull,good condition,brilliant colours soft wool,very fine weaving quality,Size 2'3"*1'9". 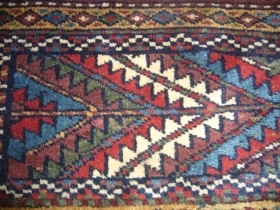 Anatolian Kilim,good condition, circa 1910 synthetic colours.Size 10*5ft. 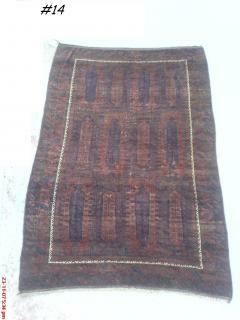 Turkmon Bag with original back,excllent condition soft full pile,vegetable dyes.Size 2*1ft. 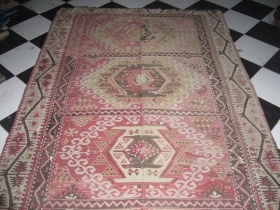 Ersari Juval,good colours and age,soft wool,excellent condition without any repair.Size 4ft*2'6". 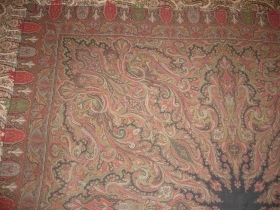 Rare Rasht Textile,with caligrophy,wool with silk,good condition.Size 120*117cm. 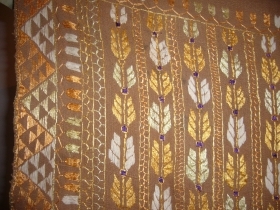 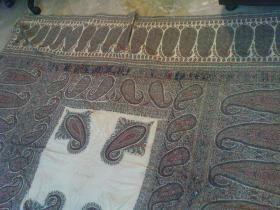 Antique Kashmir Paiselry Shawl,excllent condition,with original center cloth,only one small repair in border.Good colours and desigen.Size 5'10"*5'10". 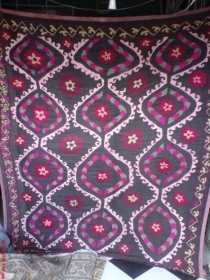 Phulkari from valley of Swat,Very good age and excellent condition,good colours and desigen.Size 8ft*4ft. 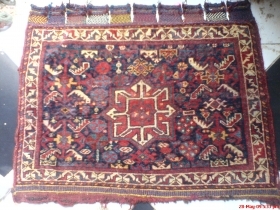 Senneh Rug,wool on silk base,beautiful colours,excellent condition and desigen,without any repair,Thin and soft like cloth.Metal rings for hanging on back.Size 6'9"*4'4". 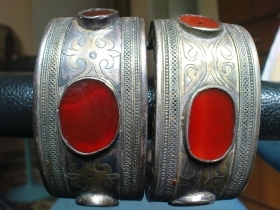 Silver Kazak Bracelet Pair,19 century good condition,beautiful 3 stones in each.Email for more pictures. 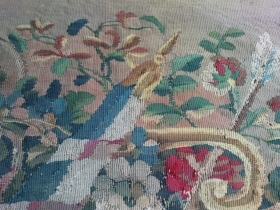 17th -18th century European Tapestry wool+silk threads,with some restoration done,beautiful vase desigen,Size 2ft*1'10". 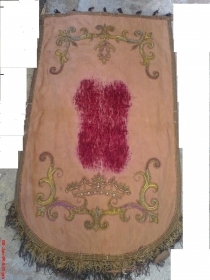 Church Chausuble Textile,On velvet textile with silk and pure metal threads work,very good age. 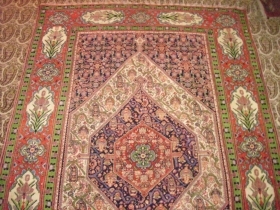 Uzbek Suzani,silk threads on cotton,good colours,desigen and condition.Very Low price. 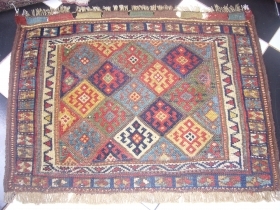 Turkmon Chuval,16 guls,good colours and condition,Very fine weaving quality.Excellent piece. 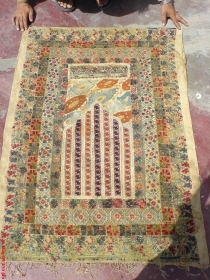 Very Rare Prayer Textile,very good colours,desigen and age.E.mail for more pictures. 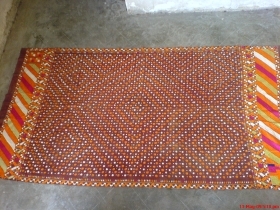 Phulkari Shawl,good desigen and colours,excellent condition.Both borders are of different desigen.Very fine work quality. 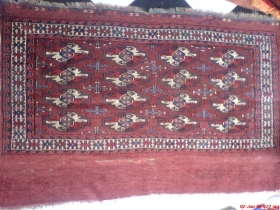 Beautiful Afshar Bag,good colour,desigen and condition.Very fine weaving quality . 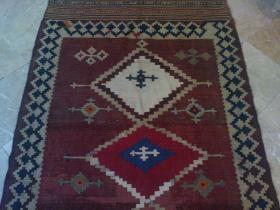 Qashgai Kilim.Good condition,with some old repair.Please visit our website on Riazu. 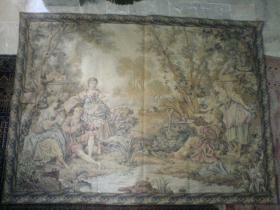 Antique Tapestrey.what a beautiful scene.